Car crashes injure millions of people in the U.S. annually, resulting in long-term symptoms and disability for many. I have many patients come to me with pain from a car crash that happened years earlier. To make matters worse, many people are in “minor” motor vehicle collisions and think they aren’t hurt, but symptoms show up weeks or months later, after the patient has settled with the insurance company. If you’ve been in car crash and are considering chiropractic care, here are eight reasons why it can help your body heal and become pain-free. During an auto collision, the ligaments and muscles that make up your spine can be stretched or experience micro-tears. X-rays or MRI scans usually aren’t sophisticated enough to diagnose these kinds of injuries, but this tissue damage causes the area to become inflamed. Many times, an auto injury patient won’t feel much discomfort immediately after the crash, but they wake up the next morning to a stiff and painful neck. This is caused by the body’s inflammation response to these micro-lesions. A 2010 study found that chiropractic adjustments actually helps the body release anti-inflammatory Interleukin 6 (IL-6), an important substance created by your body that’s used to help heal acute injuries. Another problem with inflammation is that the tissues become immobile, which can slow healing to the area. Ligaments of the spine don’t get many nutrients or blood supply normally, and this becomes even more difficult when inflamed and injured. During a chiropractic adjustment, the joints of your spine are mobilized, which helps increase blood flow and healing nutrients to the area. Your body heals ligament, tendon, and muscle injuries by creating scar tissue. Scar tissue in an injured area is made up of the same kind of cells as the original tissue, but it’s laid down rapidly and randomly as a temporary “patch” on top of the damaged area. If you get scar tissue in a large muscle, it can be uncomfortable for a while until you stretch it out, but it most likely won’t cause any long-term problems. Scar tissue in the ligaments of your neck or back, however, can be much more debilitating, since we can’t stretch it out ourselves. Your chiropractor focuses the adjustments on these specific vertebral joints that are fixated, effectively stretching them and breaking up the scar tissue in the joint. Over the last 20 years, countless studies have demonstrated that chiropractic adjustments are a safe and effective way to reduce pain. In fact, a 2013 study found that 94% of patients experienced neck pain relief with manipulation. Researchers have recognized that chiropractic is a great way to help people recover from auto injuries for many decades. In 1996, British researchers found that 93% of auto injury patients with neck pain experienced dramatic improvement with chiropractic care. In 2015, an Ontario, Canada government group agreed that spinal manipulation, combined with staying active and continuing to work, are the most important factors in recovering quickly from car crash injuries. 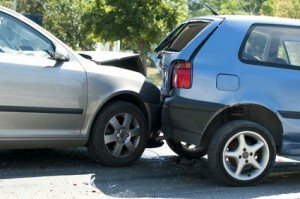 Research from 2000 and 2003 found that auto injury patients who got early treatment focused on mobilizing the injured area recovered faster and had fewer residual symptoms from the crash. Chiropractic does this: a chiropractic adjustment gets the joints in your spine moving the way they’re supposed to, helping to prevent chronic pain. If you’ve been injured in a car crash, you don’t have to suffer from chronic pain. If you have been in a car crash, I am here to help. Please call our office today for a consultation at 425-778-9600.